Fabric Weave No. 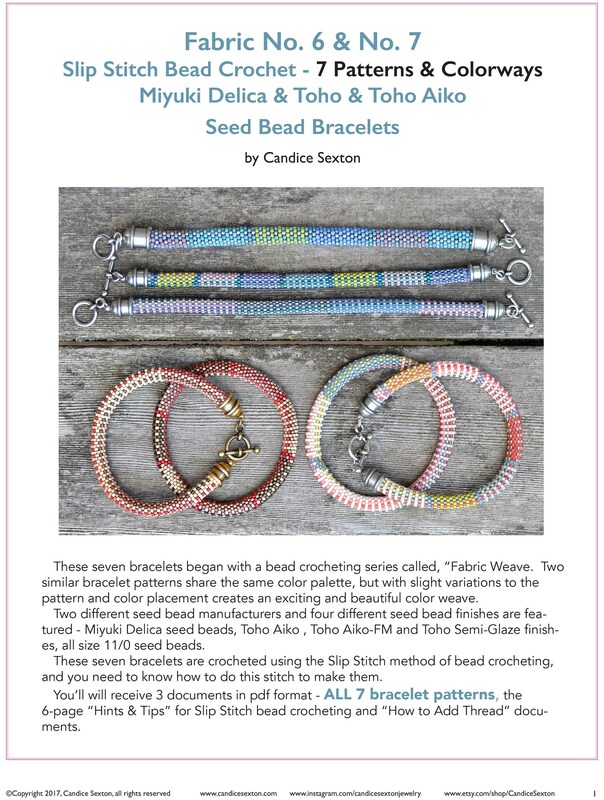 6 & 7 Slip Stitch Bead Crochet Patterns for 10 Bracelets and Kit for 2 AIKO-Blue/Lt. Purple color bracelets pictured. 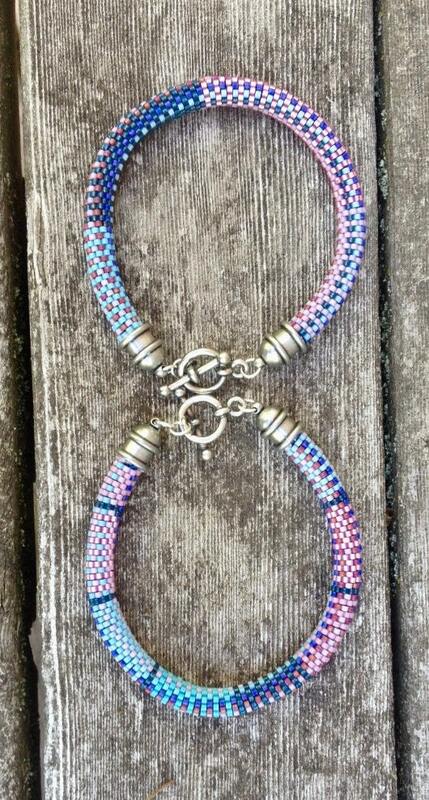 This listing is for the 2 Bracelets pictured using Toho AIKO seed beads in the Blue/Lt Purple color way. Kit and the 10 Slip Stitch Bead Crochet Patterns in the "Fabric Weave" No. 6 & 7 Serie included in purchase. 10- Pattern, 22-page pdf file, Hints document and Adding Thread pdf documents are included with this listing and will be sent via the email on file. Please request a hard copy at time of purchase if that is your preference.